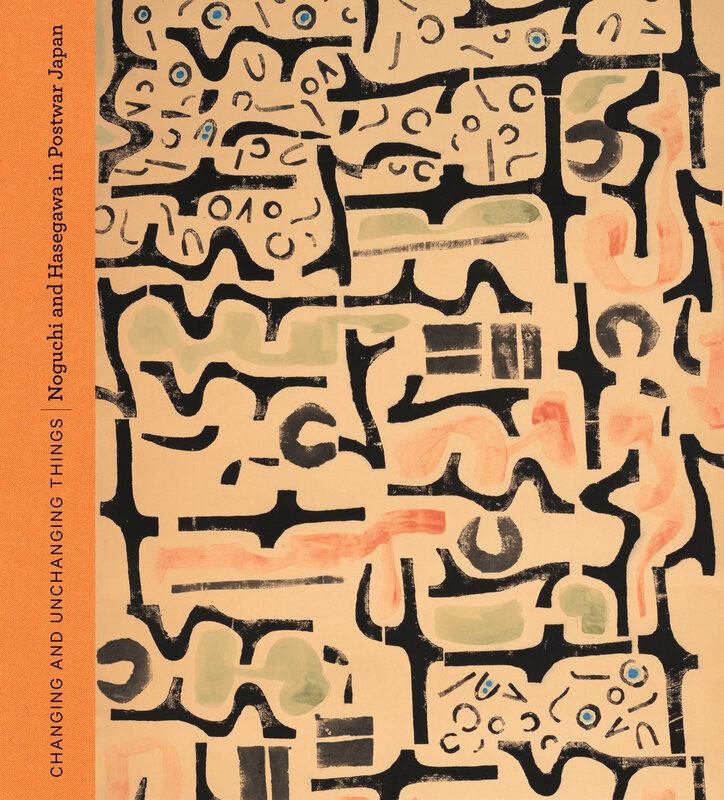 Changing and Unchanging Things is an account of how their joint exploration of traditional Japanese culture influenced their contemporary and subsequent work. The 40 masterpieces in the exhibition—by turns elegiac, assured, ambivalent, anguished, euphoric, and resigned—are organized into the major overlapping subjects of their attention: the landscapes of Japan, the abstracted human figure, the fragmentation of matter in the atomic age, and Japan’s traditional art forms. 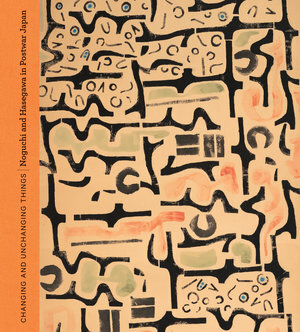 Published in association with The Noguchi Museum. Photo: Kevin Noble. 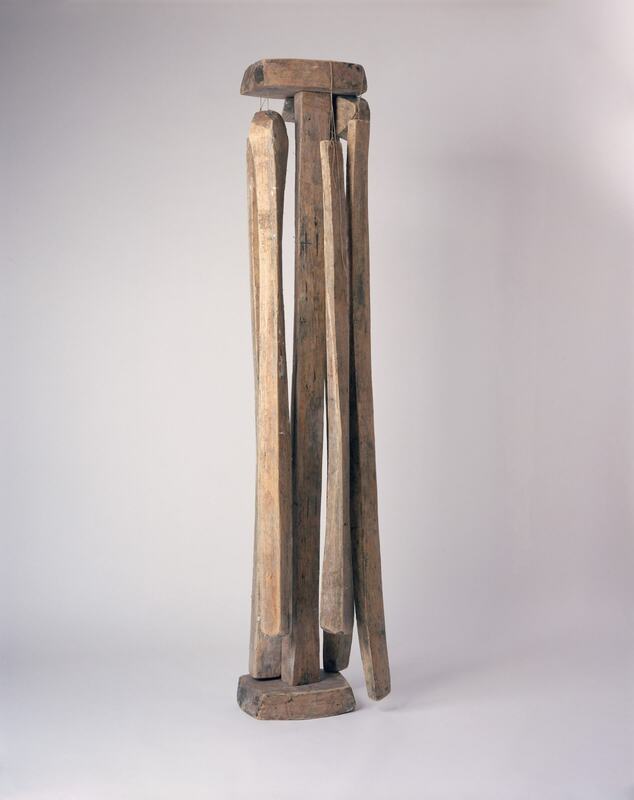 ©The Isamu Noguchi Foundation and Garden Museum, New York / Artists Rights Society (ARS). 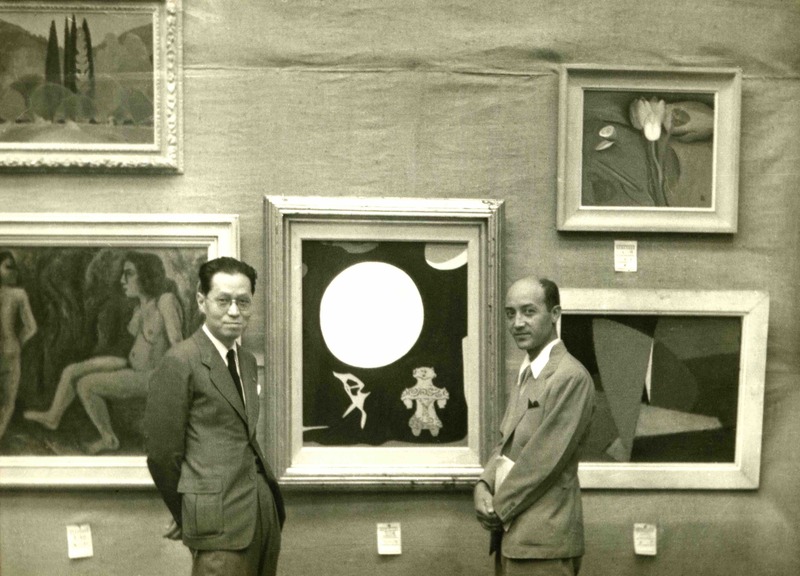 Saburo Hasegawa and Isamu Noguchi at an art exhibition with painting by Hasegawa featuring a Jomon figure, c. 1950. 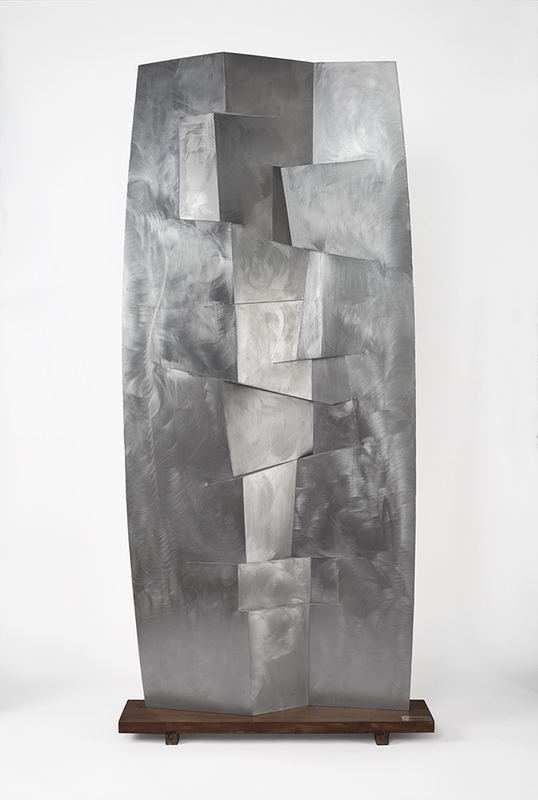 ©The Isamu Noguchi Foundation and Garden Museum, New York / Artists Rights Society (ARS). 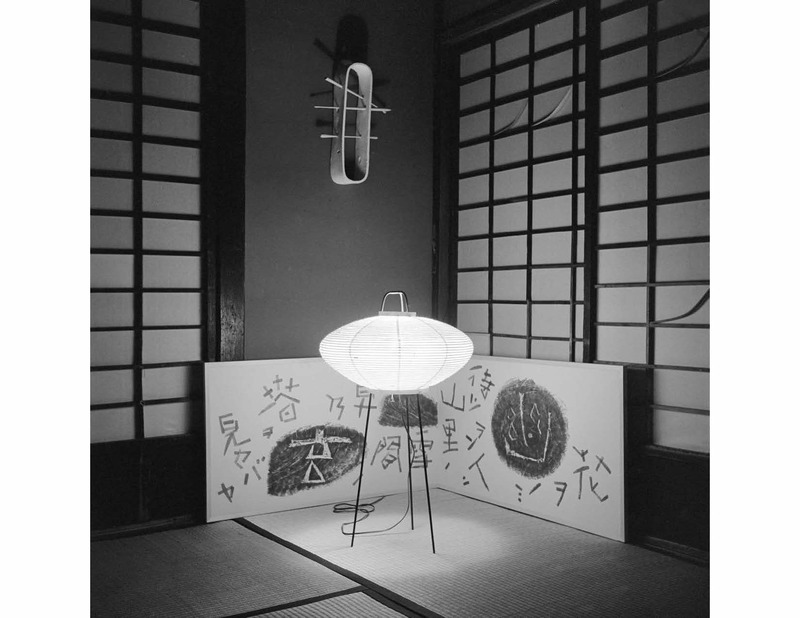 Screen diptych (now lost) by Saburo Hasegawa installed with Isamu Noguchi’s ceramic wall sculpture Skin and Bones (1950) and Akari light sculpture at Noguchi's studio in Kita Kamakura, c. 1952.